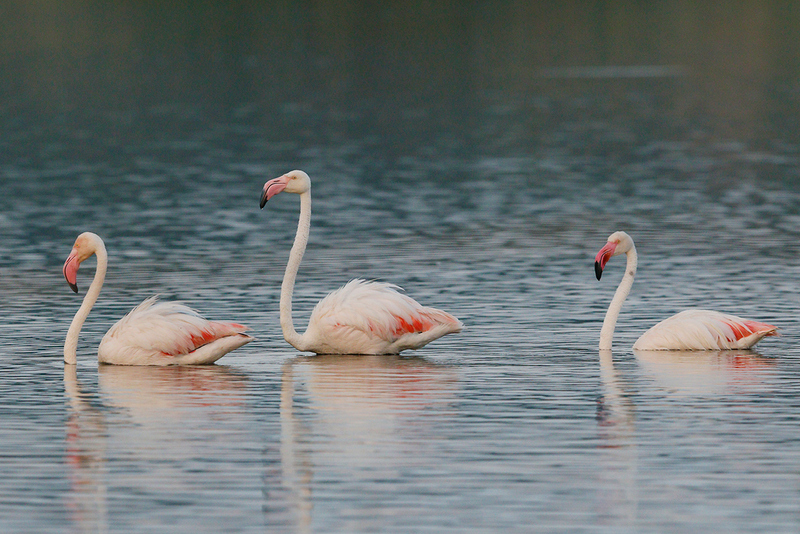 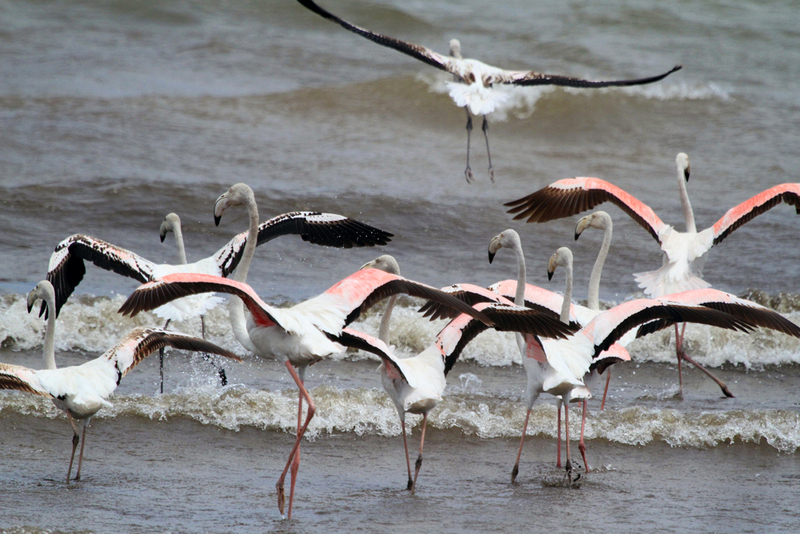 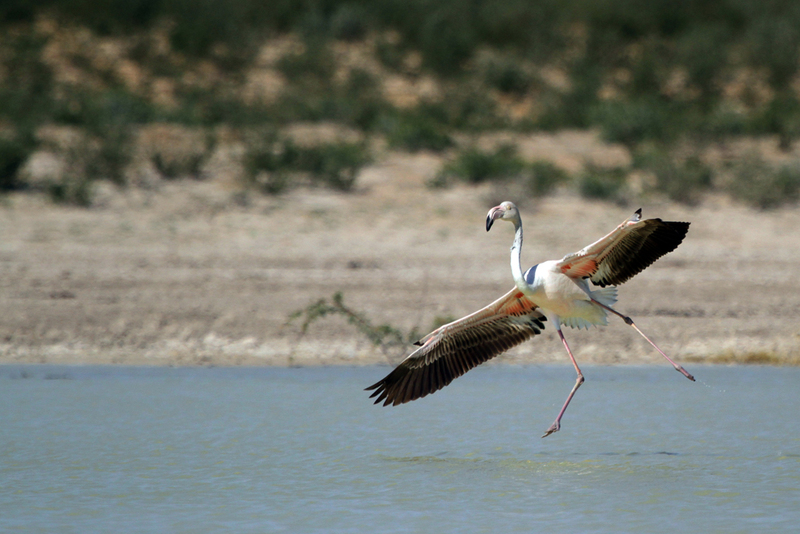 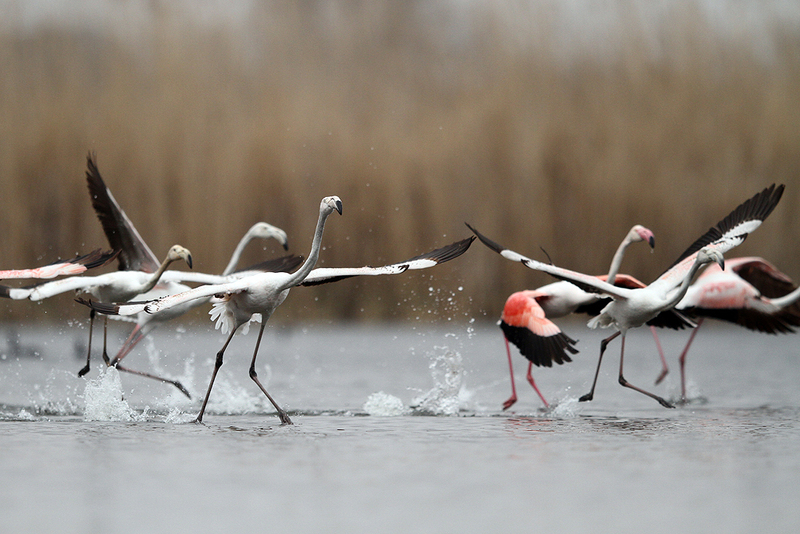 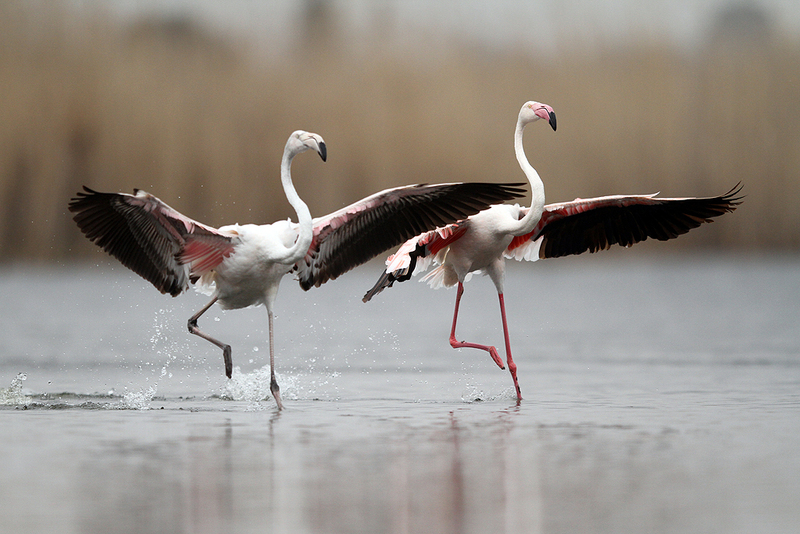 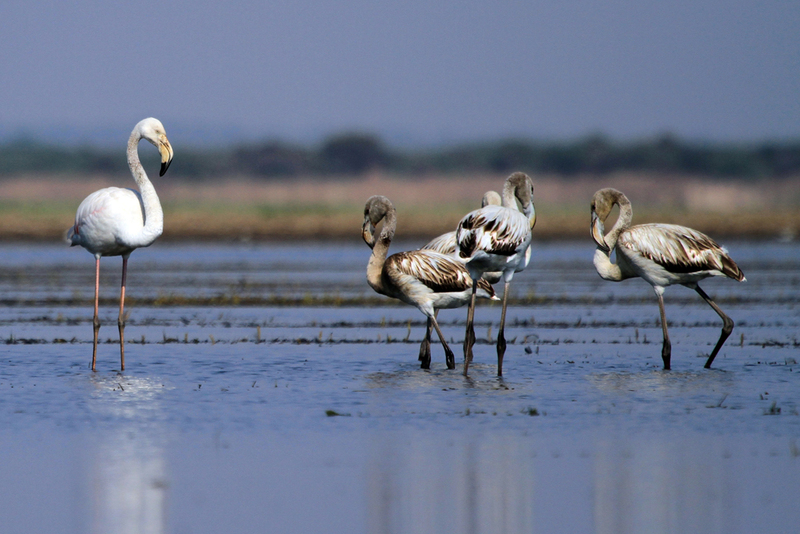 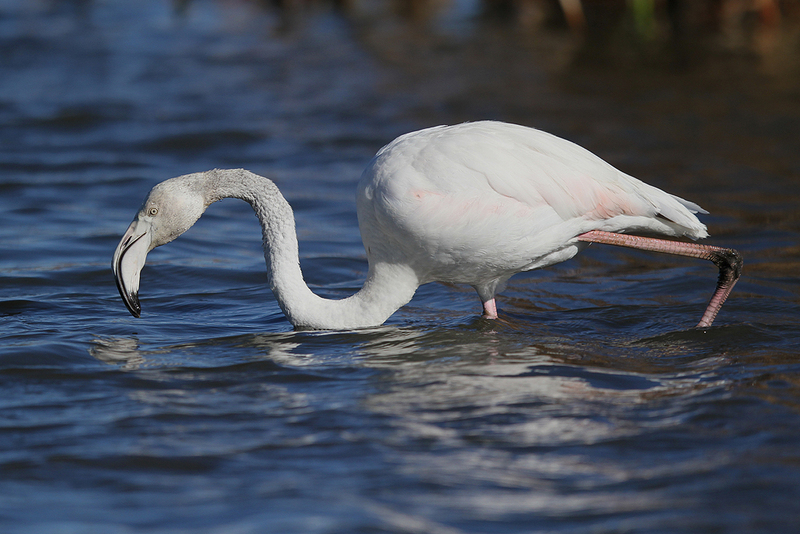 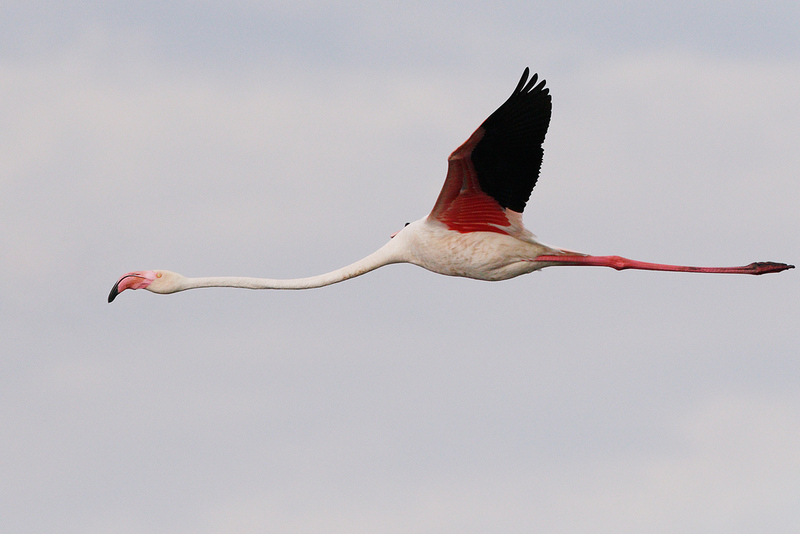 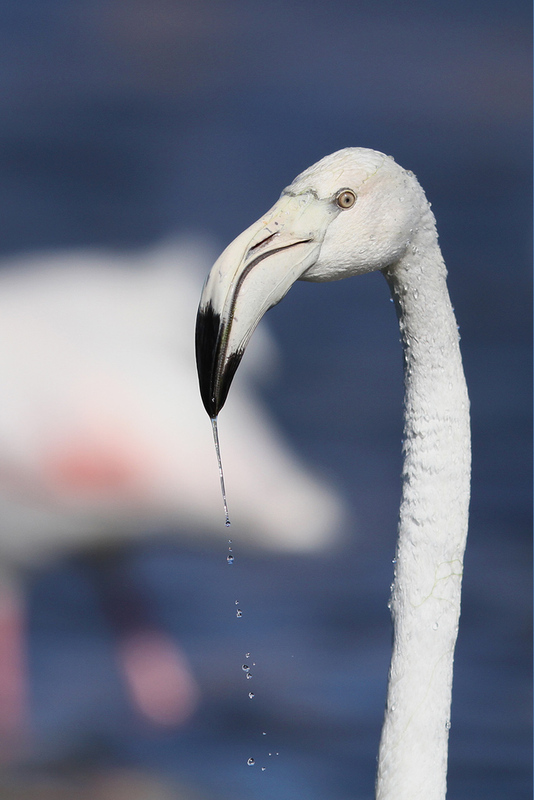 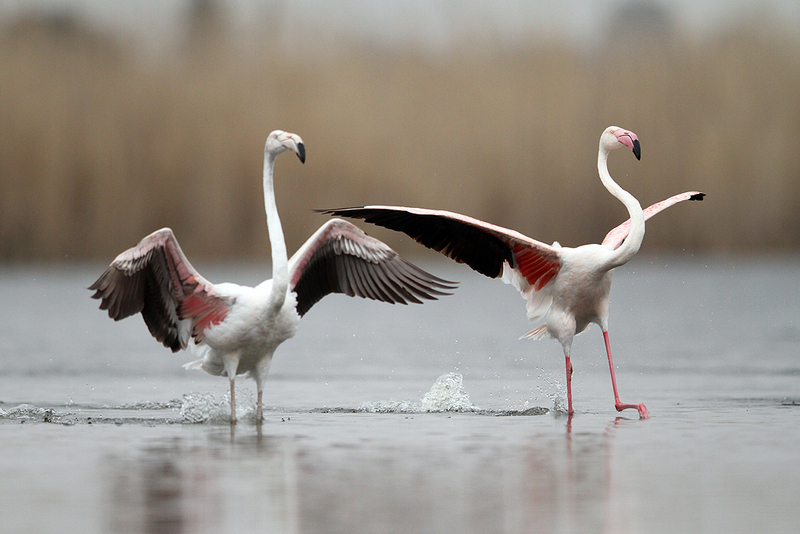 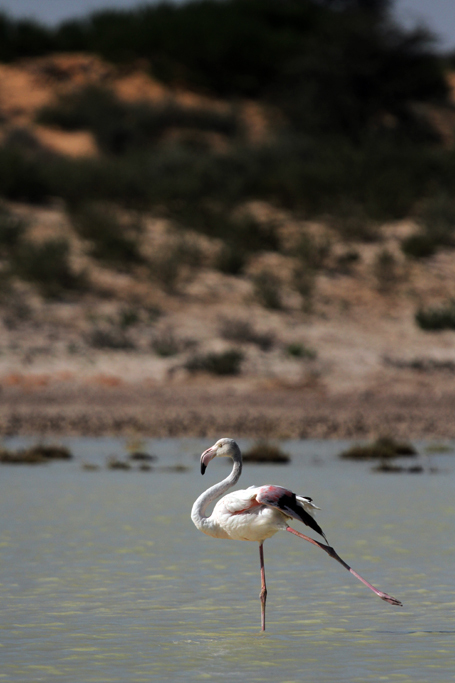 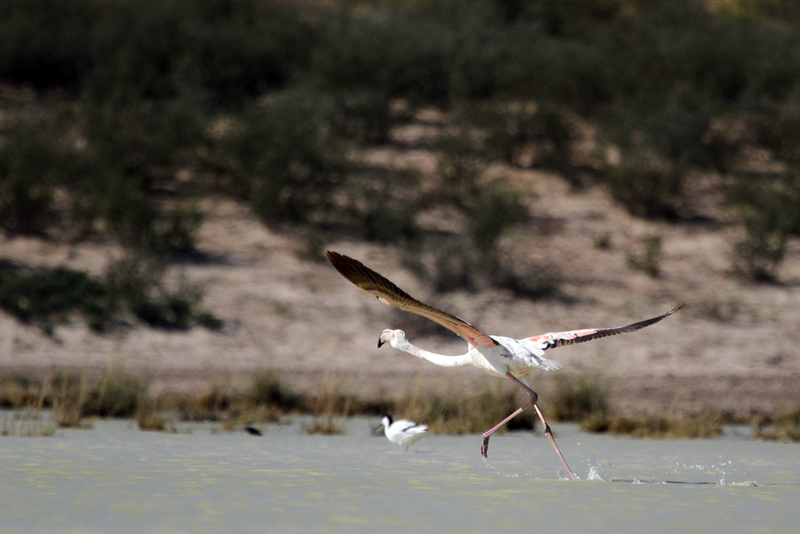 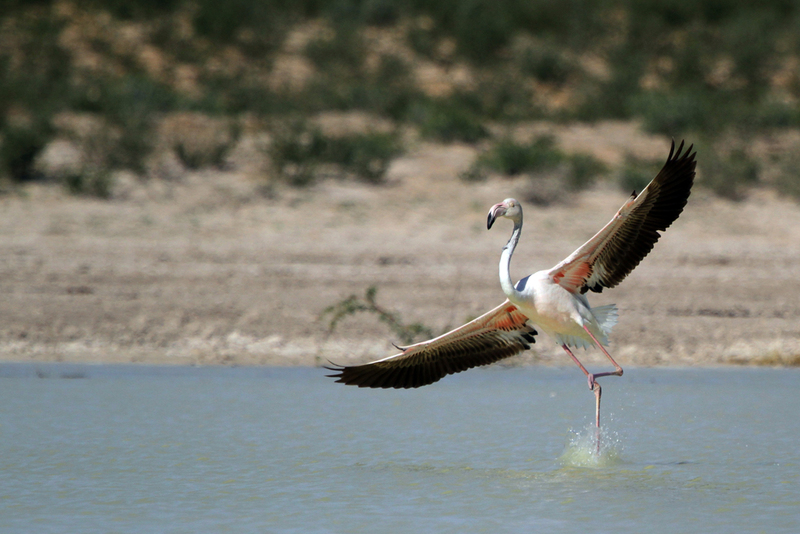 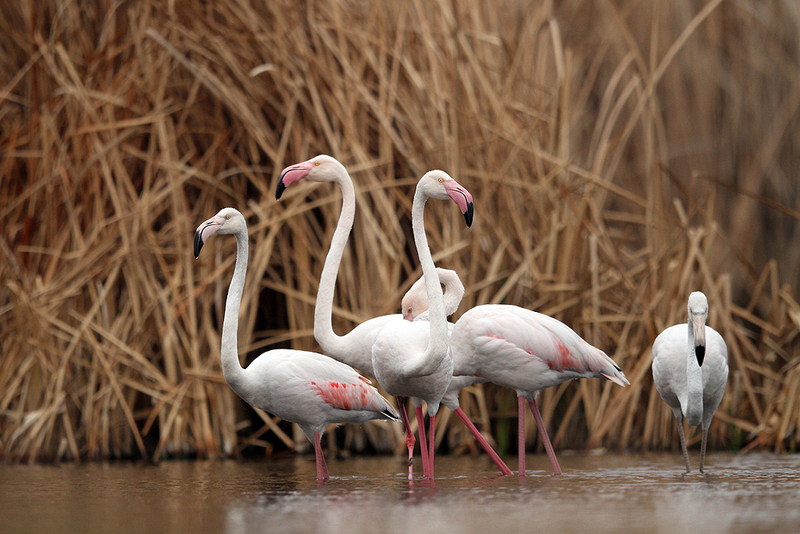 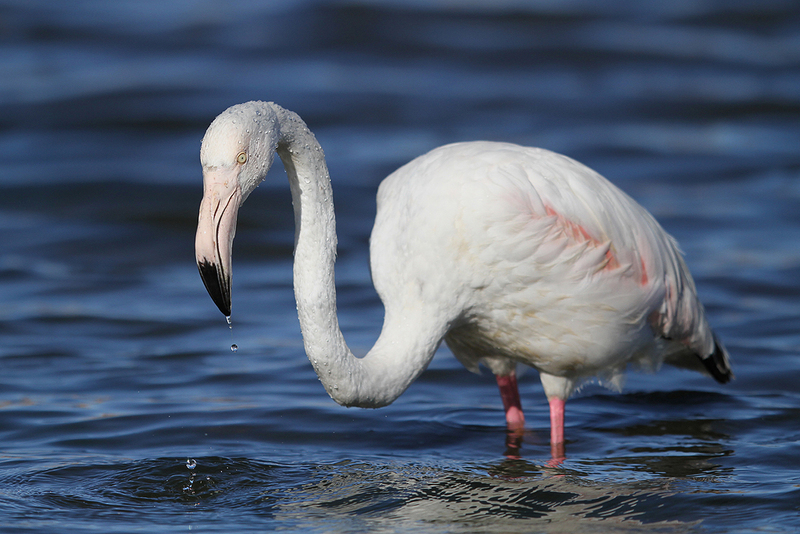 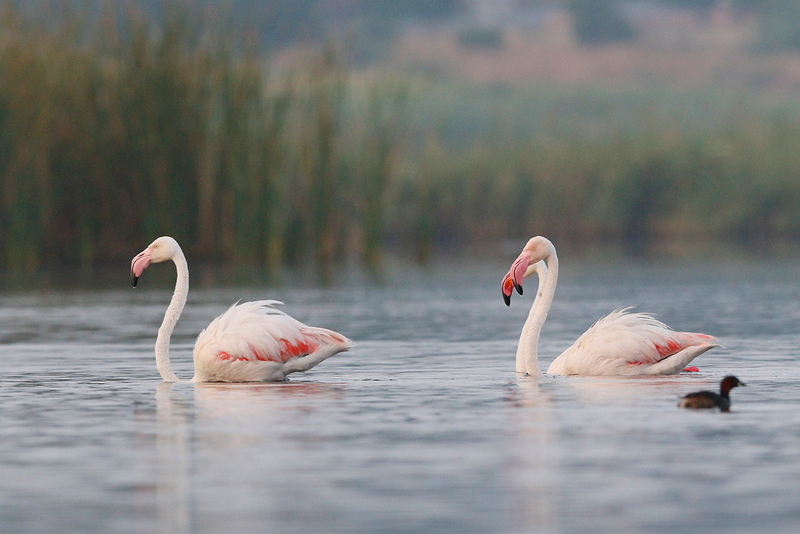 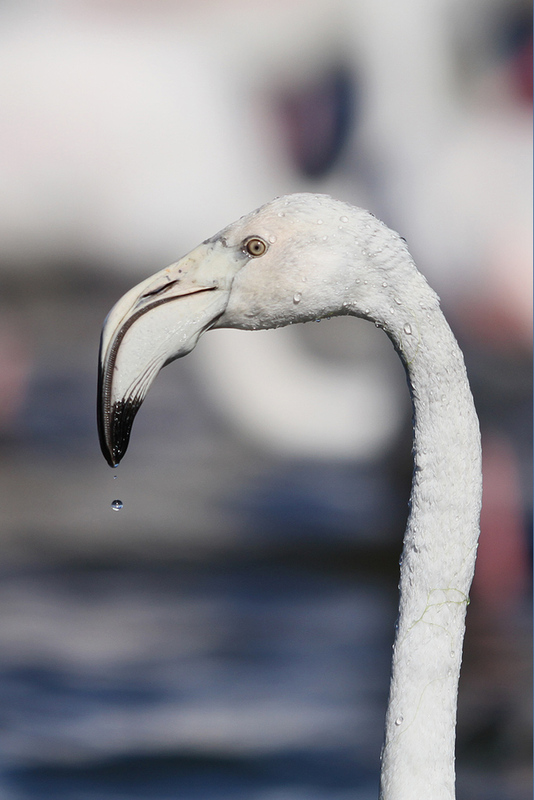 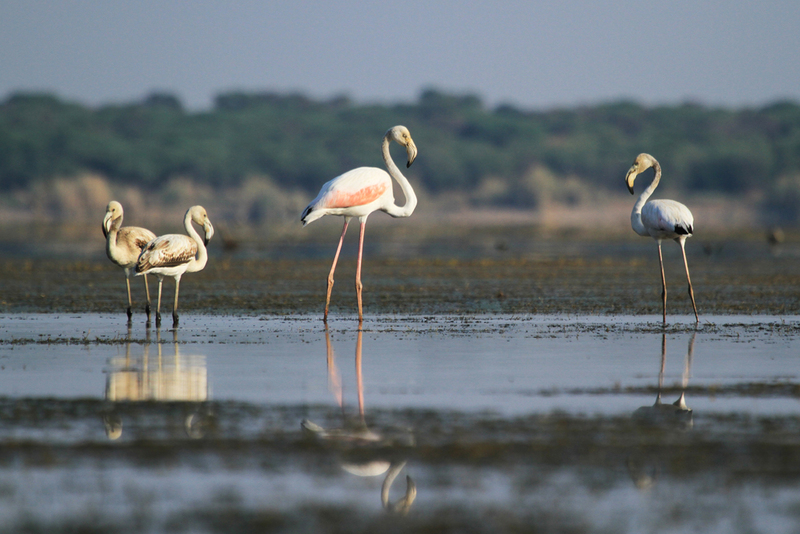 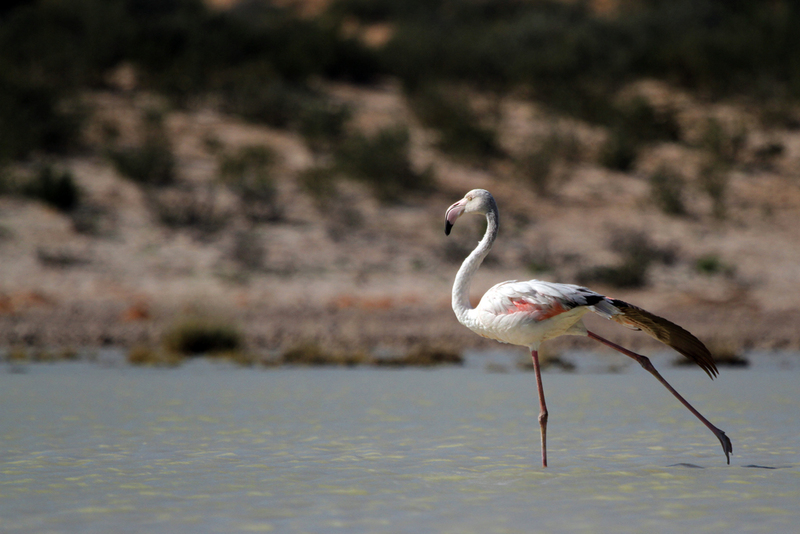 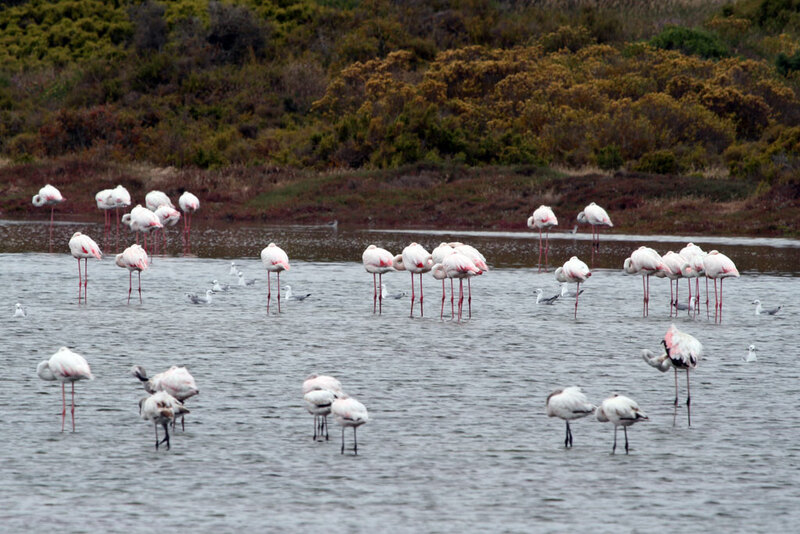 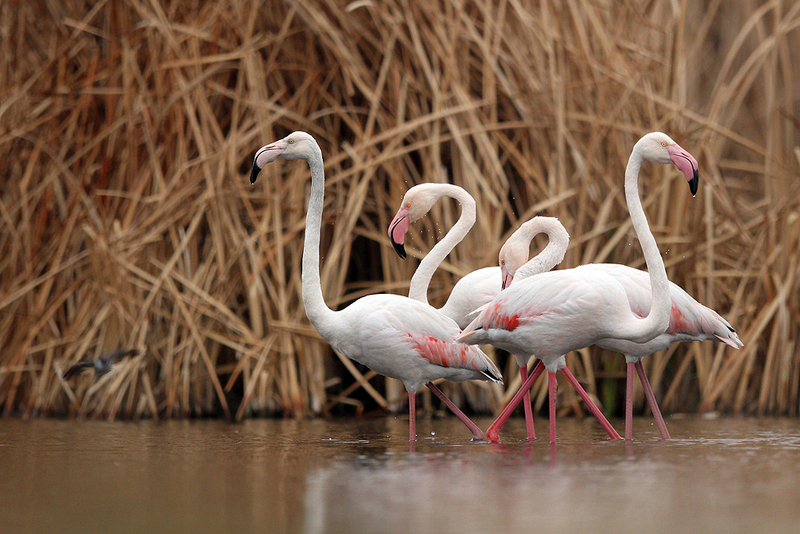 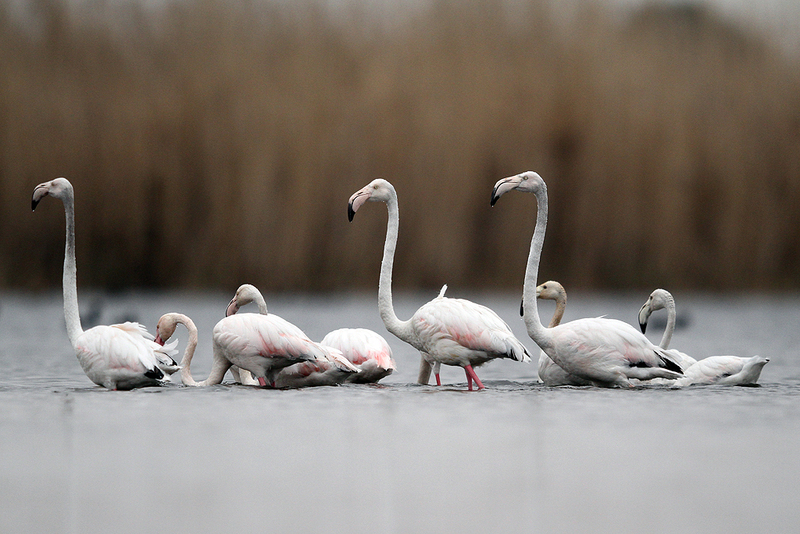 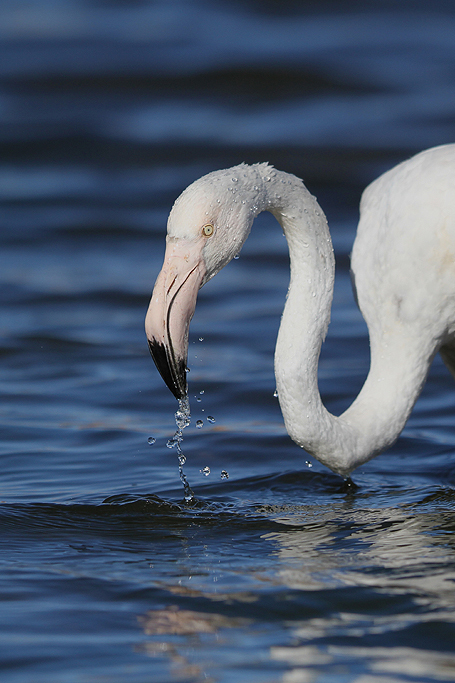 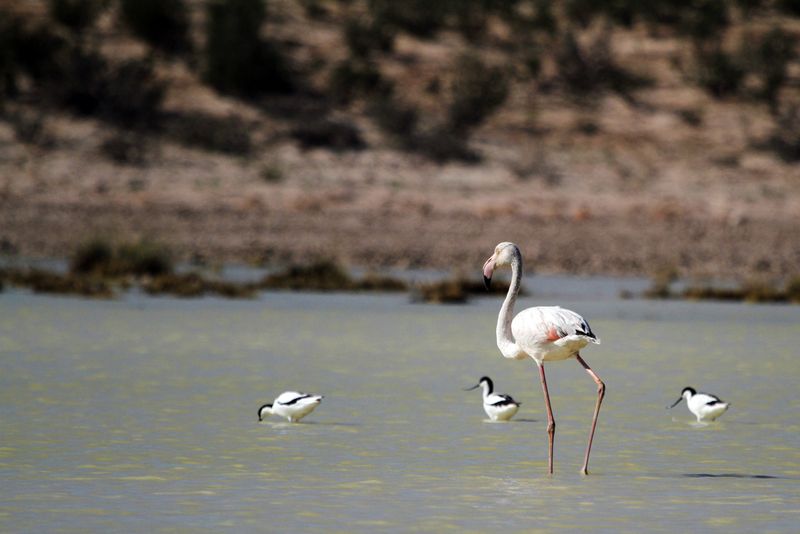 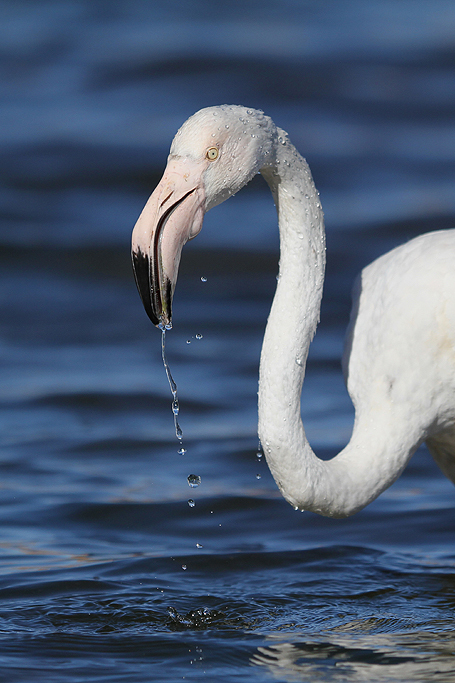 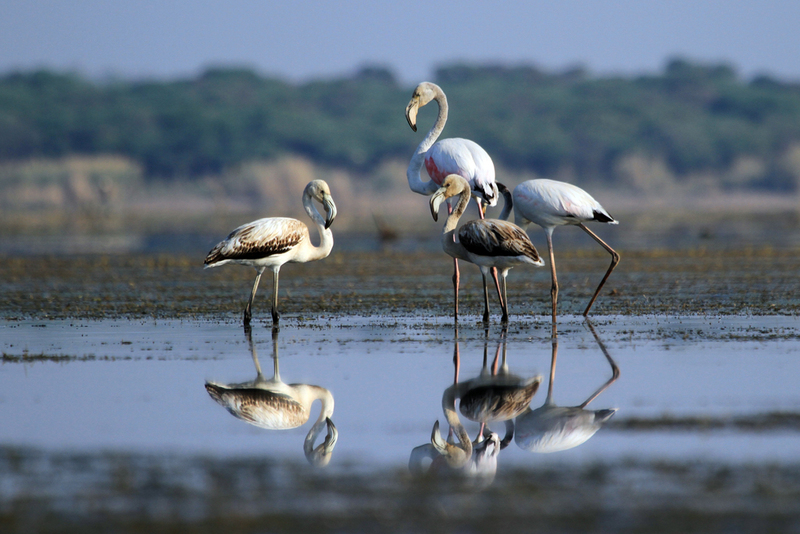 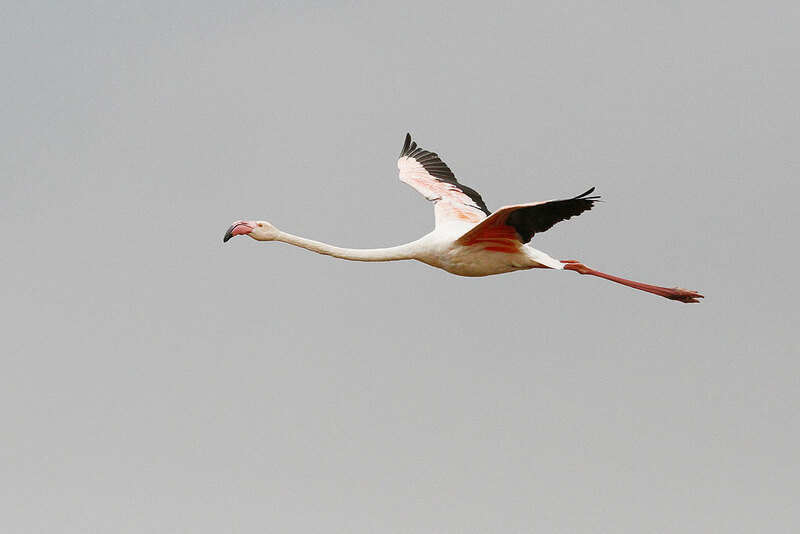 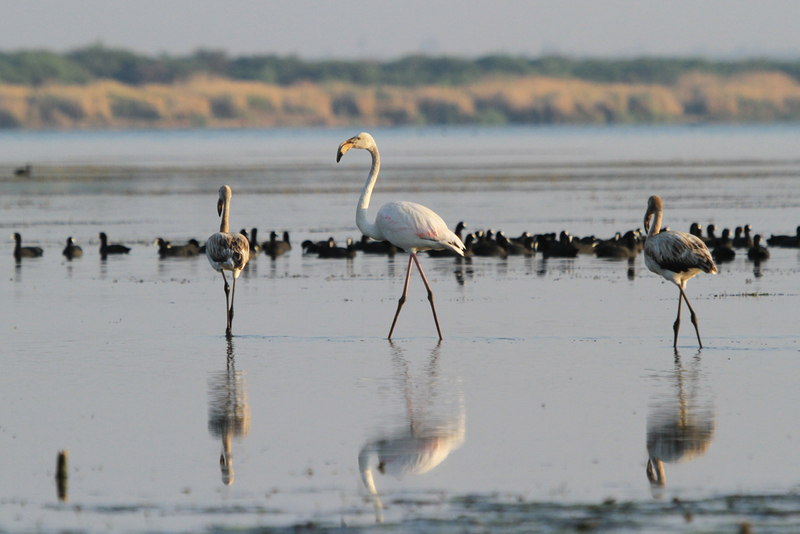 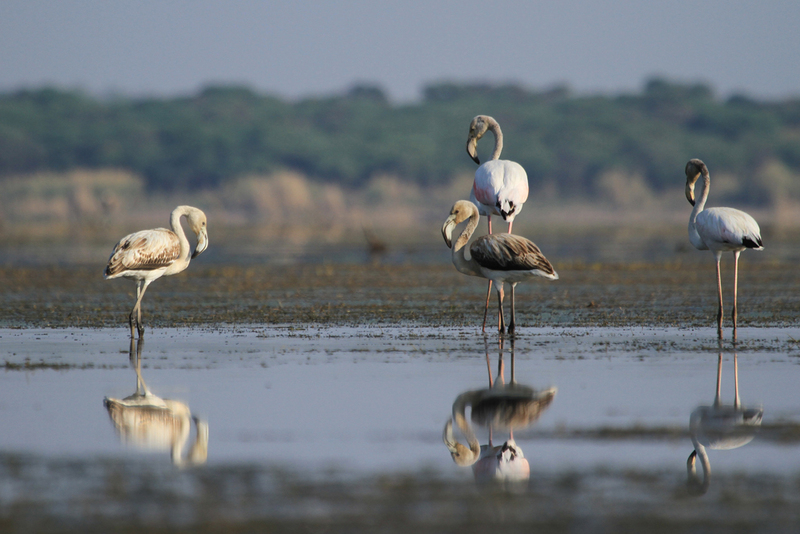 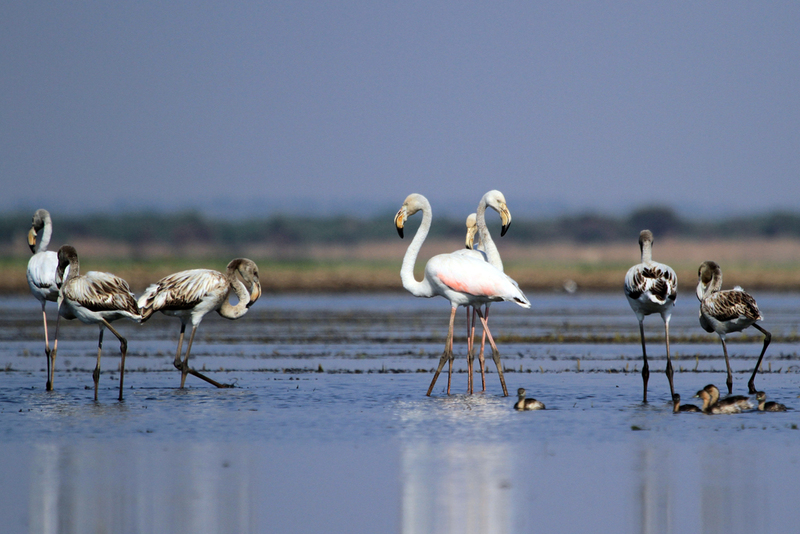 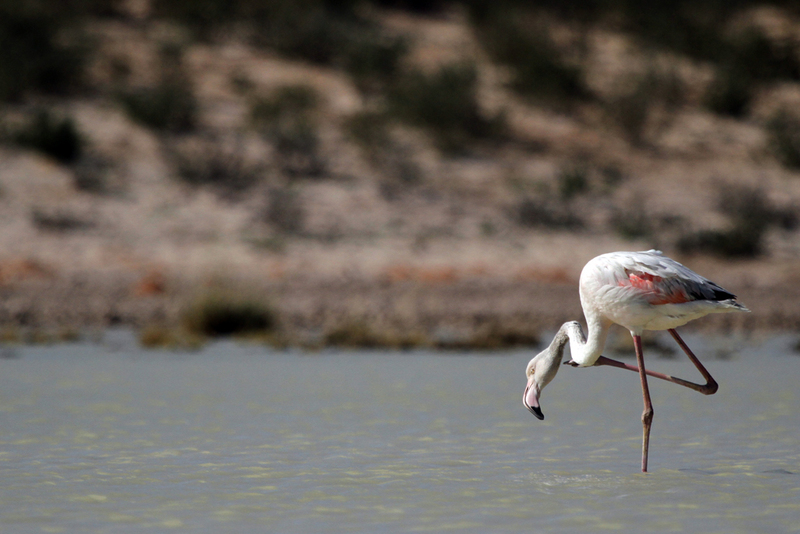 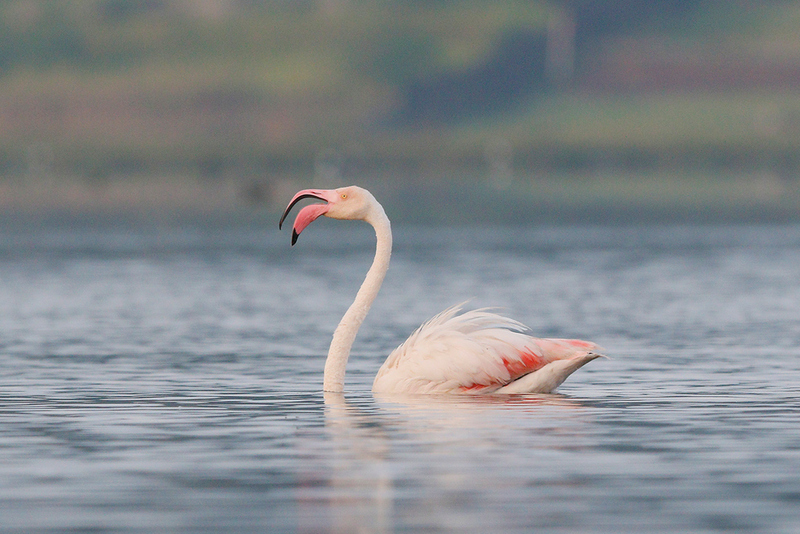 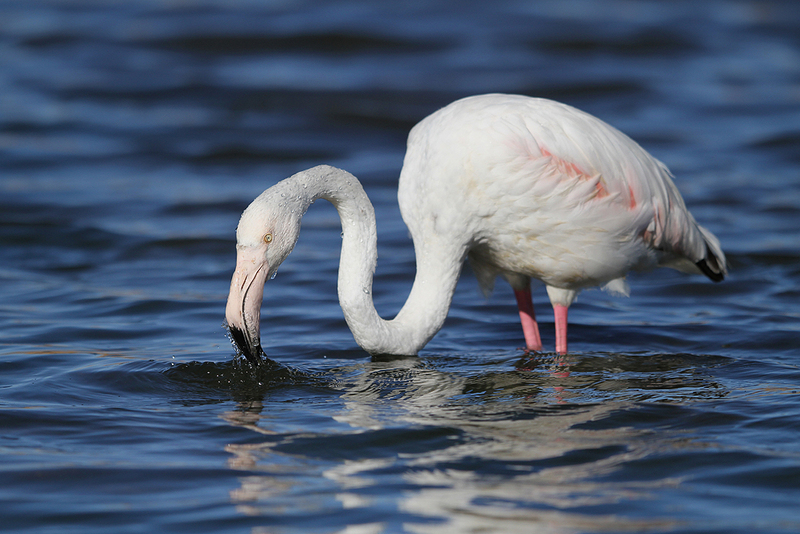 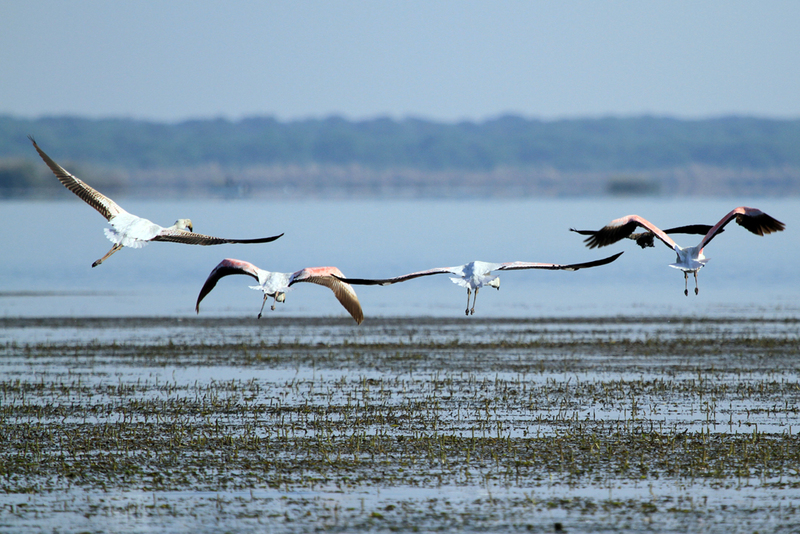 This is the biggest of the two African flamingos and can be distinguished from the lesser flamingo by its mostly white appearance and pale pink bill. 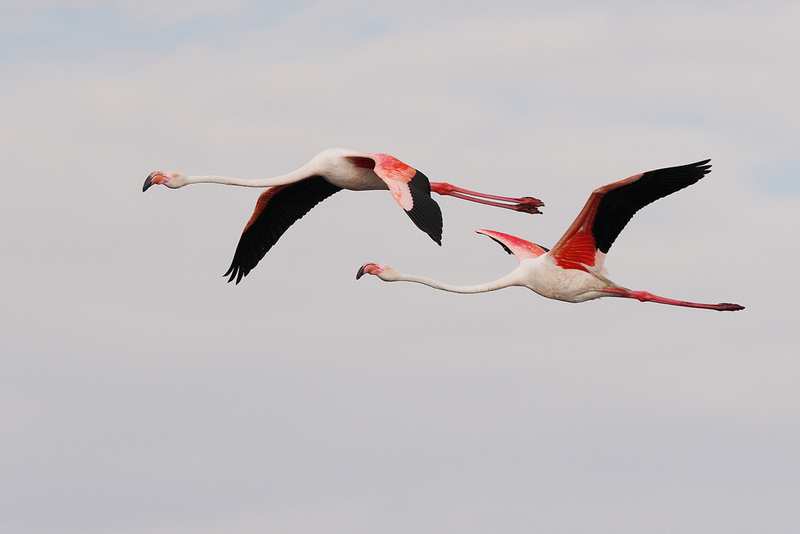 We first recorded these majestic birds in November 2010 while visiting the West Coast National Park with friends. 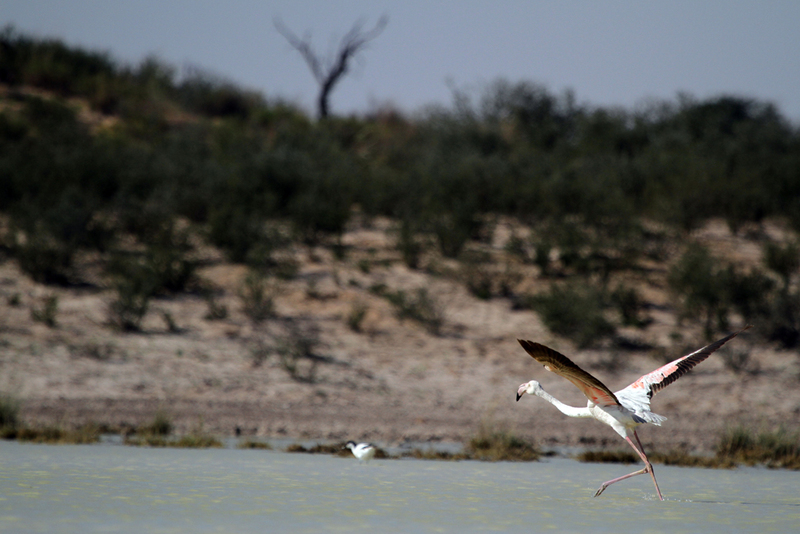 Our strangest sighting of this species took place in May 2013 in the middle of the Kgalagadi Transfrontier Park.